Unwrella - Optimal Automatic Unwrapping | Unwrella is an automatic unwrapping plugin for 3dsmax, which creates seamless UV maps. 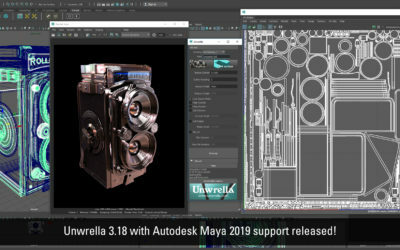 Unwrela 3.18 for Autodesk Maya 2019 released! 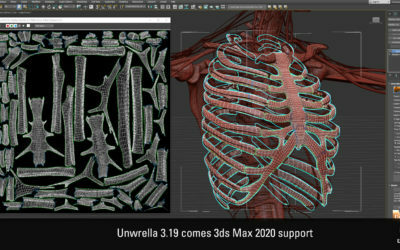 Unwrella is ready for 3ds Max 2019! 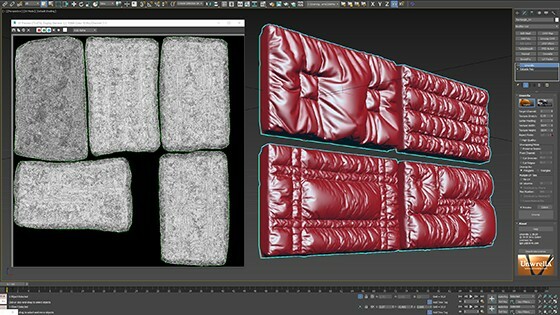 Unwrella is an exact unwrapping plug-in for Autodesk 3ds Max and Maya for Windows. It is a single click solution which allows you to automatically unfold your 3D models with exact pixel to model surface aspect ratio, speeding up texture baking UV map production significantly.